Multi-Vendor SMS Notification for WooCommerce provides a pavement for proper collaboration between the businesses, sellers, and customers. Through this plugin, the admin can send notification messages to notify customers about the order events. These order events include i.e. order placed, order processing, order on-hold, out of stock, low stock, order cancellation, order failed, refund details, etc. In the era of digitization, it is important for businesses to interact and provide a quick response to the customers. This will eventually enhance the user experience and develop goodwill amongst the customers. Multi-Vendor SMS Notification forWooCommerce provides a walkway to a better synergy amongst the businesses and the customers. Twilio communication infrastructure is such that it connects traditional transmission techniques to the digital world. It offers a limitless and cost-effective hike for any online business by providing versatile communication solutions. 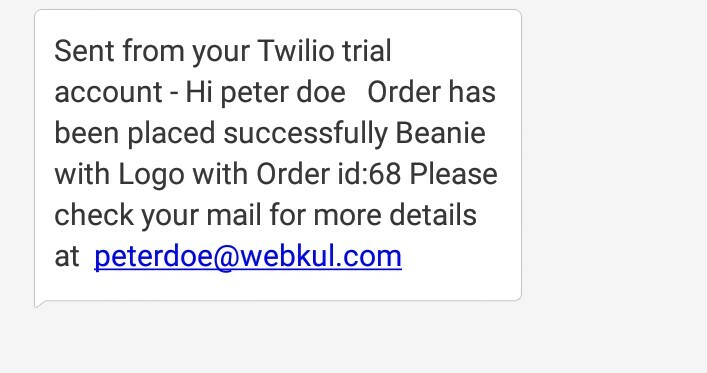 Note: Marketplace Twilio SMS Notification for WooCommerce is an add-on to WooCommerce Multi-Vendor Marketplace Plugin. The user must first install WooCommerce Multi-Vendor Marketplace to make use of Marketplace Twilio SMS Notification for WooCommerce. The sellers will receive notification texts if the admin approves the seller. The admin can disapprove a seller and the seller will receive disapproval notification texts. Sellers will receive SMS notifications when admin will publish any product. Both the admin and seller will receive notifications when a seller registers to a store. Sellers, as well as the admin, will receive notification when customers write product reviews. The admin and sellers will receive the ‘low stock’ SMS notification messages. Sellers will receive notification messages when the product goes ‘out of stock’. Both the customers and sellers will receive notifications when customers place the order. The sellers and customers will receive notifications ‘order cancellation’. If the ‘order fails’, the customer and seller will receive SMS notifications. If the order is put ‘on hold’, the sellers and customers will receive SMS notification messages. Both sellers and customers will receive ‘order processing’ SMS notifications. The sellers and customers will receive SMS notifications on ‘order completion’. The sellers and customers will receive notifications if the customer requests for a refund. If a password is reset, both the seller and customer will receive SMS notifications. 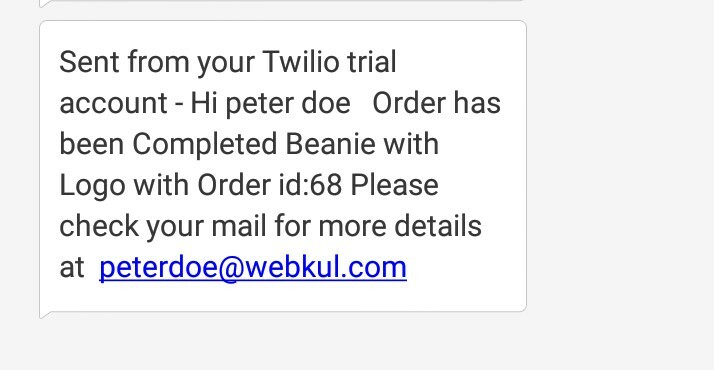 The user can hit the link- www.twilio.com to sign up with the Twilio SMS provider. On clicking the link, the user will be redirected to the Sign-Up page. The user will have to enter details such as Name, Email, Password etc. 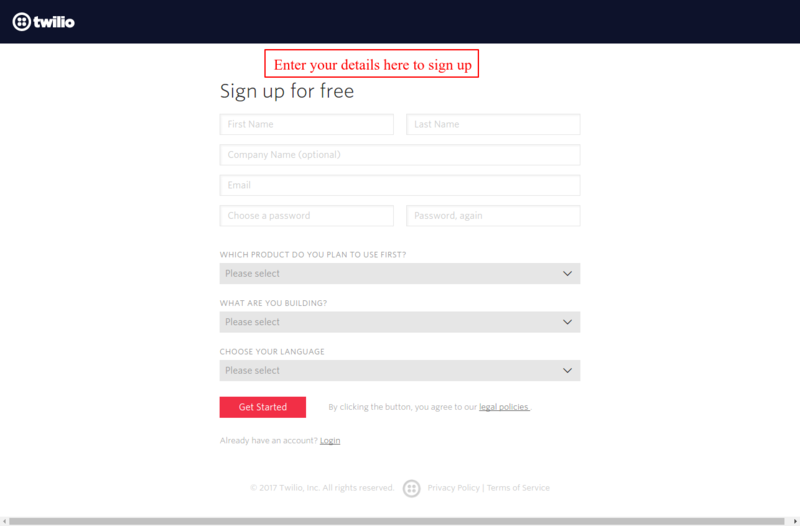 Once the user submits the sign-up details and completes the sign-up process, the admin can check Twilio credentials under Console Dashboard as shown in the image below. On receiving the credentials, the admin can complete the module configuration with Twilio SMS provider. The admin can configure the settings for Multi-Vendor SMS Notification in the admin panel. The admin can navigate through Settings > Marketplace Twilio, in the admin panel and configure the settings. On clicking the ‘Marketplace Twilio’ option in the Settings tab, under “Configuration settings”, the admin can configure the SID, Token and the Phone Number. 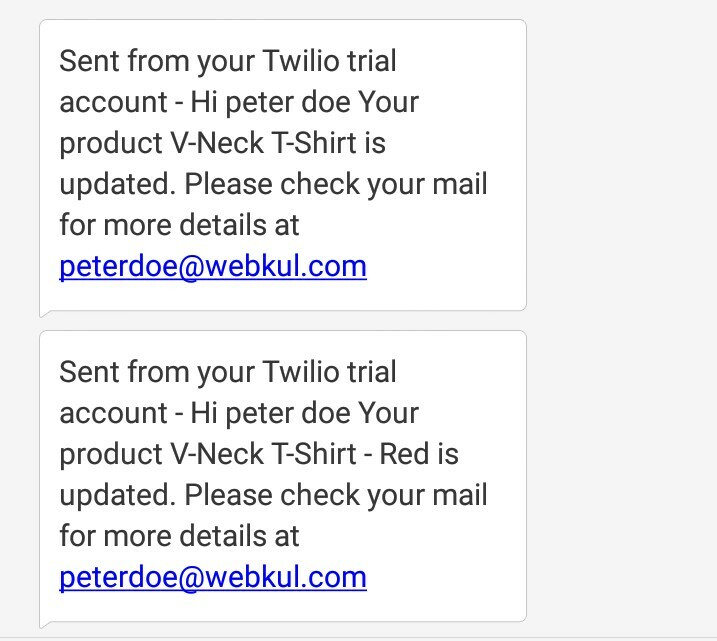 The admin receives the SID and the Token from the Twilio website by following the steps in the Twilio section. When a customer creates an account and registers with the site, the customer enters a phone number. On this phone number, the customer will receive SMS notifications messages regarding the status of the orders or profile details. On successfully registering, the customer will receive the SMS notification message as shown in the image below. The customer as the sellers will receive SMS notification message- “Order has been placed successfully” once the customer places an order as shown in the image below. The customer and the sellers will receive notification message- “Order has been Completed” once the customer receives the order. The admin can change the order status to “Completed” once the order reaches a customer. When a customer and the sellers will receive notification message- “Your profile is updated” if a customer updates his profile as shown in the image below. The customers and the sellers will receive SMS notification messages if an update is made for any order as shown in the image below. Similarly, for order events such as, ‘out of stock’, ‘low stock’, ‘order cancellation’, ‘order on-hold’ etc, the customers, as well as the sellers, will receive the SMS notification texts.